Bring the meadows of Provence, France into your bathroom. Using all pure, natural ingredients enriched with shea butter, you can feel the difference because of the unique Quad milling process (four times) that refines the soap. 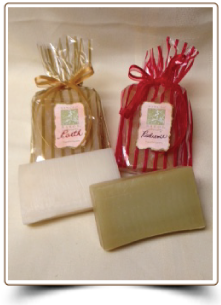 Ultra-rich, wonderfully scented specialty soaps that are infused with natural fragrances and herbs. Experience a smooth, creamy lather that helps keep your skin moisturized with the richness of Shea butter. Individually wrapped and thoughtfully shaped to fit comfortably in your hand. 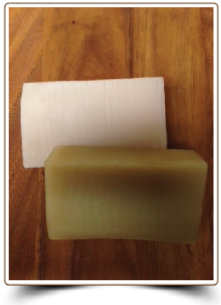 These 8.8 oz soaps are available in three fresh and comforting natural scents: Sandalwood, Provence and Patchouli. The Shea Butter Enriched Soaps are a great companion with the Ayate Exfoliating Buffing Cloth. 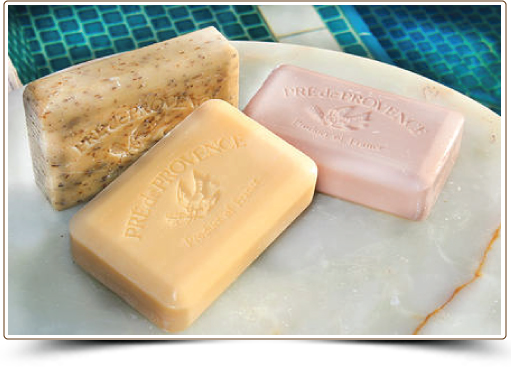 The most wonderfully scented, handmade specialty soaps have been created with warm & sensual Earth and fresh & floral Radiance Parfums. This velvety feeling vegetable formula has been infused with the beneficial ingredients of Shea Butter, Coconut Butter, Aloe Vera and Vitamin E. The mild cleansing formula gently lathers and helps leave your skin soft, soothed and moisturized while the scent of Earth awakens your senses and the scent of Radiance refreshes your senses. 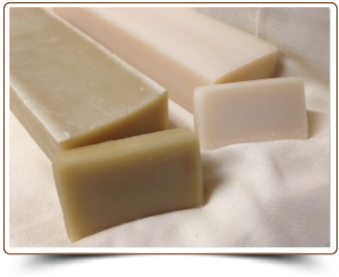 The long lasting 5.5 oz scented soap bars will also heavenly fragrance your bathroom.